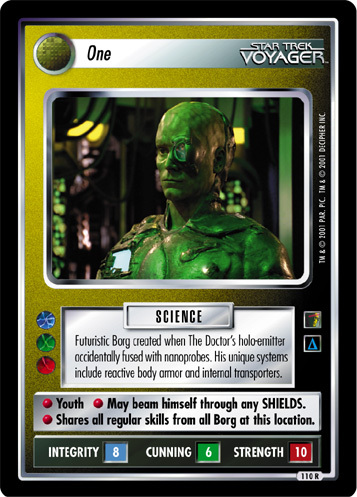 Futuristic Borg created when The Doctor's holo-emitter accidentally fused with nanoprobes. 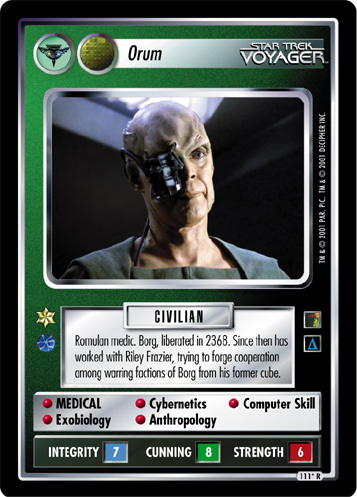 His unique systems include reactive body armor and internal transporters. • Youth • May beam himself through any SHIELDS. 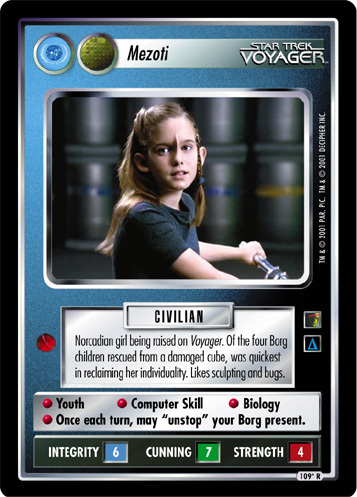 • Shares all regular skills from all Borg at this location.